Flip flop is hand painted with exterior paint. Wood flip flop is shaded around edges to create a unique look. Umbrella, sun and strap are all separate pieces of wood which are attached to flip flop. 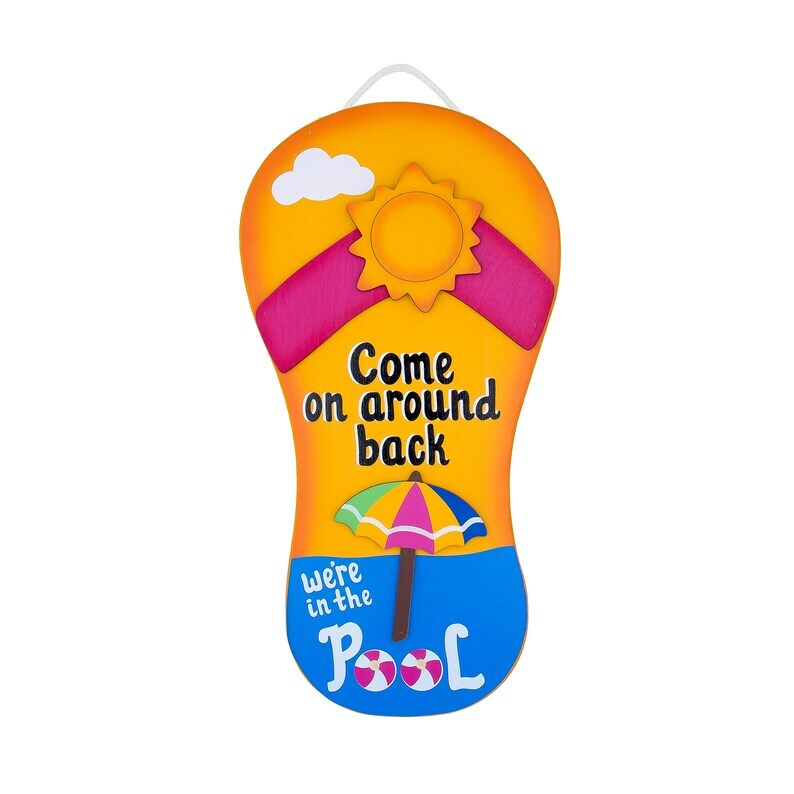 This flip flop decoration, looks great on a fence, or a gate, by the pool. Sure is cute & it sure does help when we are in the backyard. I only hang it out when not in house so people know I am home! Shipping again was a waste as I live on the In.& MI stateline. It is just like the picture...big, bright, and so very cute!